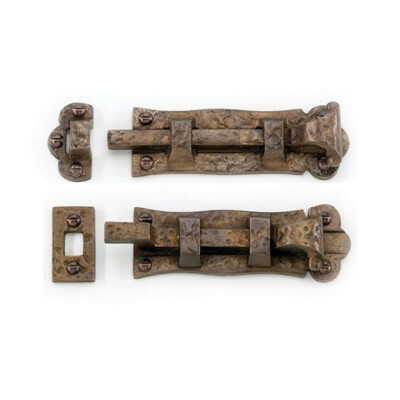 A PAIR of Grade 7 Ball Bearing Steel Hinges in an Antique Bronze finish. 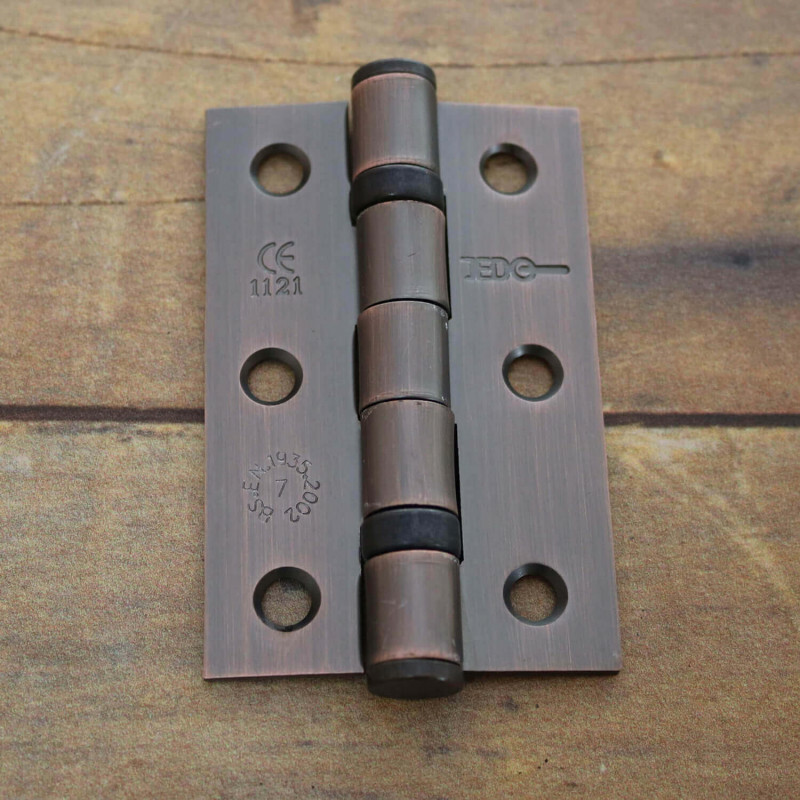 These Grade 7 hinges are CE marked and fire tested to 30 minutes, making them suitable for internal doors and 30-minute Fire Doors. Being made from Steel means they are not resistant to rust making the suitable for internal use only. 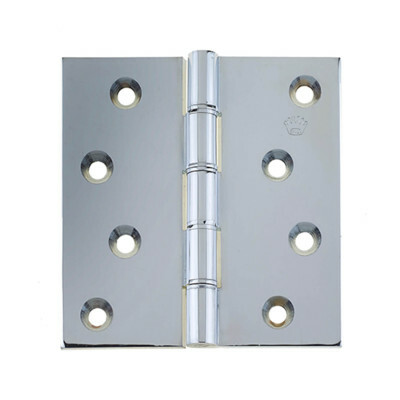 The Ball Bearing mechanism provides for smooth movement. 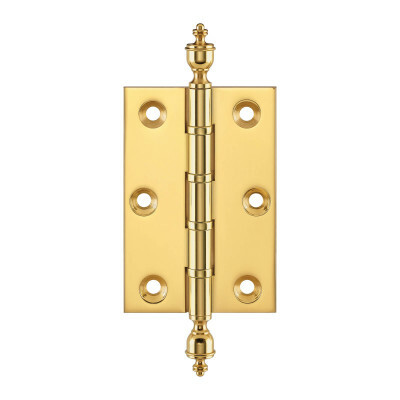 Sold in PAIRS and supplied with matching screws. 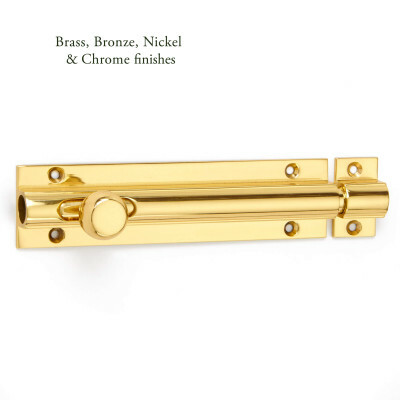 Grade 13 Exterior hinges are also available to complement this finish.